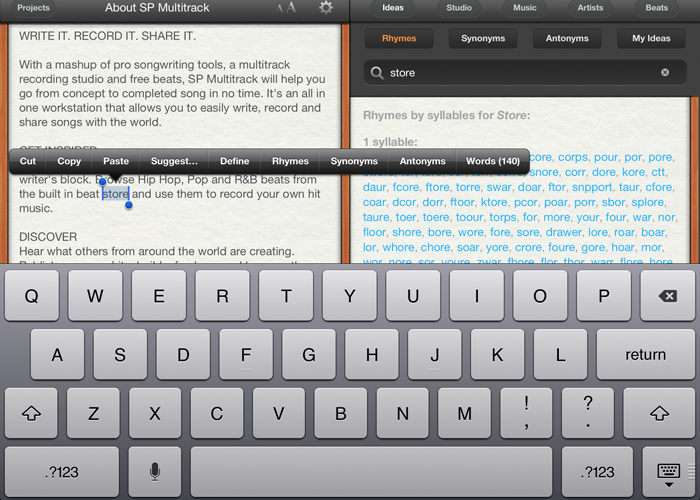 Write it. Sing it. Share it. 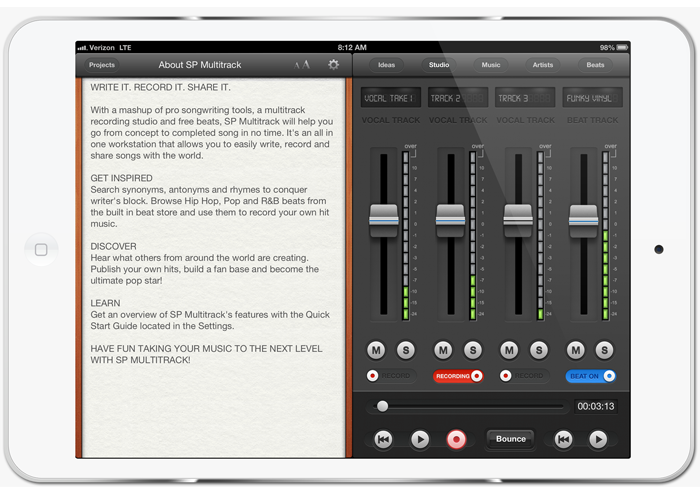 New, all-in-one pro songwriting and recording studio app for iPad and iPhone. 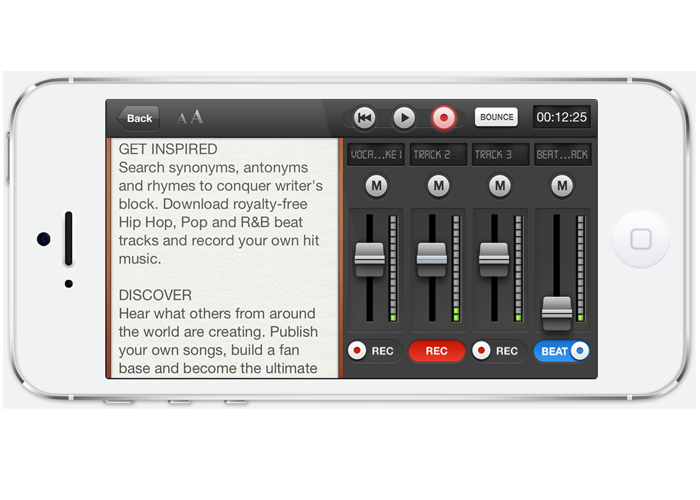 From writing to recording, it has all the tools you need in one app! Write it. 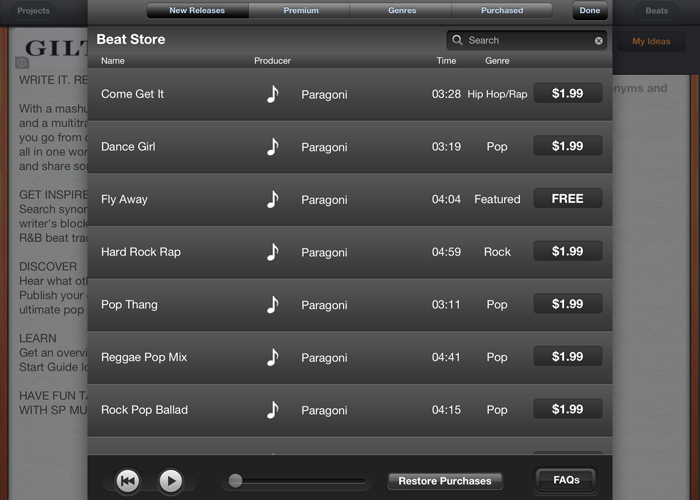 Sing it. Share it! 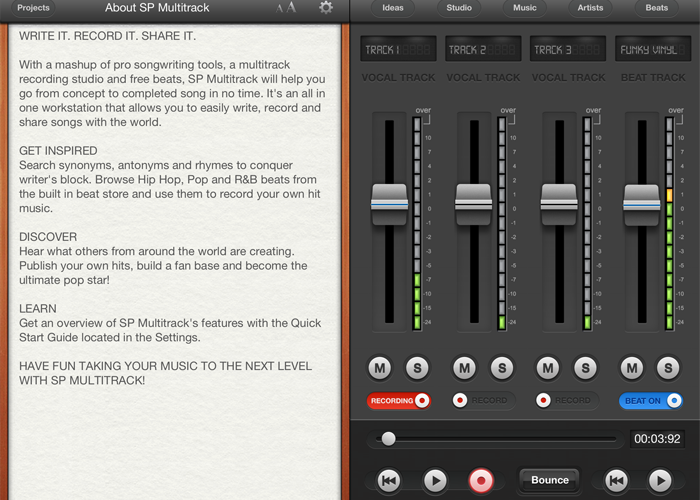 SP Multitrack is for users on the go and allows you to create and record song on the go. 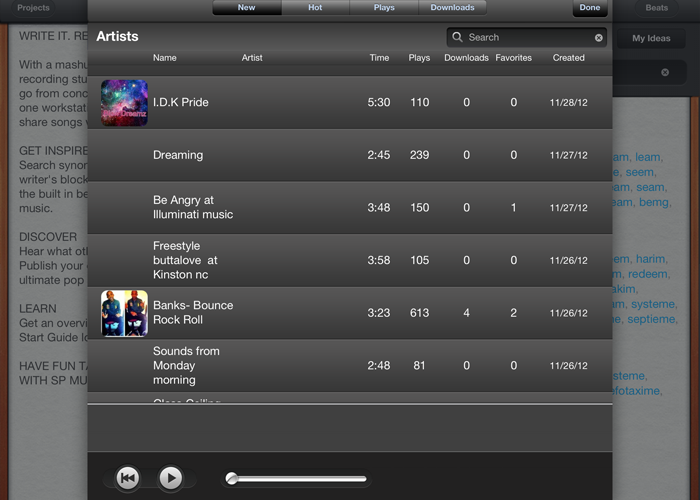 With iCloud by Apple your songs are always secure and available on your iPod, iPhone and iPad.